Darryn was amazing! Everything from our meeting beforehand to making it fun on the day! His shots were amazing and he quickly turned around all our photo’s so we could share with friends. We are so proud to have his photo’s around our home. We can’t thank you enough for being a part of our wedding! When you arrived in the morning at Mum’s house, I relaxed completely, and just knew you would do a wonderful job. You really went above and beyond what was required as we have photos spanning the majority of the day and evening and they are all beautiful. We appreciate your flexibility in working with us on the photo locations and especially love the ones on the Opera House steps! It was also fantastic being able to have a sneak peak at the photos while we were on our honeymoon, they were available so quickly and it was very handy having them on Facebook. I would highly recommend you to everyone and we are now very excited to see the beautiful album – which I have no doubt will be amazing. We just saw the web gallery and I just want to say; “wow! We both really appreciated how much fun it was to have you around on our wedding day and how amazing it is to see such wonderful photos in the gallery without your involvement being intrusive. Darryn was a delight to have around on our wedding day. His calming and high-spirited presence made our special day even more memorable and we cannot recommend him enough. The thing we loved the most about Darryn’s photography was the natural style of the shots being taken. We also receive so many compliments about our acrylic enlargements from friends and family and we absolutely love them! We wouldn’t have changed a thing about the experience or the photos that were taken on our wedding day we were happy with everything. We will definitely call Darryn for our next special occasion. Mark and I wanted to send the biggest thank you your way for our amazing wedding photos! Words can not describe how grateful we are for not only the most amazing company on our wedding day but also to have the best memories of our day captured so perfectly. From our first meeting you put us at ease and nothing was too much trouble for you. Thank you for putting up with my constant e-mails and questions too. We had so many of our friends and family ask if you were a friend of ours as you fit in so well with our guests. We couldn’t believe that just one week after our wedding, the online pictures were up and we could relive our amazing day whilst on our honeymoon. And of course I got to see all of the amazing pictures taken when I was unawares 🙂 Our album is just phenomenal. You really made an average bunch look amazing! I would definitely recommend you to anyone and everyone and we can’t wait to see him at my sisters wedding next year. Darryn McKay you are amazing. Darryn created so many beautiful memories of our wedding! The lead up to the wedding seemed quite daunting but it seemed such a relief to be working with Darryn who was always calm and in control. His presence was relaxed and professional, we felt so comfortable and really had fun with the photo’s. Darryn captured our wedding in so many spectacular ways, we were blown away with the variety of shots. We wanted photographs that would record the event but most importantly communicate the emotions experienced on the day. 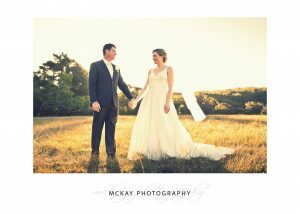 We chose Darryn McKay as our wedding photographer after seeing and loving a friend’s wedding photos posted in an on-line gallery. His photographs struck us as beautiful, unique and expressive. Leading up to the wedding Darryn was available to hear our ideas and was flexible with the services that he offered. On the day Darryn was relaxed and organised making him a pleasure to work with, and allowing us to leave that element of the day in his hands with confidence. We are very happy with Darryn’s photographs of our wedding and treasure the memories which they capture so well! Darryn was fantastic to deal with on the day of our wedding. He was very relaxed and easy going, and took the most incredible photos. Our wedding ceremony was held at Our Lady Star of the Sea (in Watson’s Bay) and the reception at Dunbar House. We received the photos really quickly after the wedding and were really happy with them! On behalf of my whole family , I wanted to thank you so much for everything you did not only on the wedding day but the days we met with you prior to the day as well. Your professionalism, your personality and the quality and standard of your work is just amazing and of a very high standard. You made everyone feel relaxed, comfortable, and excited to have their photo taken. You were so easy going it was like you were part of the family we even had you helping us pin the flowers on. We would highly recommend you to family, friends and to anyone who would need a fantastic photographer. Michael and I couldn’t be happier with our wedding photos! From our first meeting with Darryn, we were instantly at ease with his relaxed and professional approach. On the day, he captured everything we wanted and made us feel so comfortable. The photos were fantastic and we have had so many positive comments from our family and friends. We would recommend you to anyone and would love to use you again for family photos in the future. Thanks again, I do not think I will be able to stop saying thank you. You are amazing! I am lost for words – I love them, and I am struggling to find our favourite ones. Everyone who has seen the pics have loved them and Jared and I have been singing your praises to all. On a serious note, I can not thank you enough for your support and professionalism on the day. Your calming presence enabled us to enjoy the day, finish with amazing pictures that for the majority we did not even notice you taking. I will recommend your services at every opportunity as it is hard to find gifted, quality suppliers in the wedding industry at present. Thanks again, I do not think I will be able to stop saying thank you…. We found Darryn to be extremely professional. His calm and friendly manner made the photography session of our special day relaxed and enjoyable. He interacted very well with all of our guests, and several of them have reported being very impressed with his professionalism! We loved the way he captured the happiness of our day and the beautiful scenery surrounding us. We found Darryn to be very flexible, and happy to accommodate all of our location requests (even when this involved the use of his own car to get us there in time for the sunset!). He also captured the natural, fun theme of our day. It was very hard to choose our favourites from the amazing shots that he took. We have recommended Darryn to all of our friends, as he exceeded our expectations on the day, and it was a pleasure to have him at our wedding!